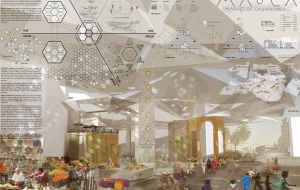 This is an [AC-CA] Architectural Competition Concours d’Architecture submission. 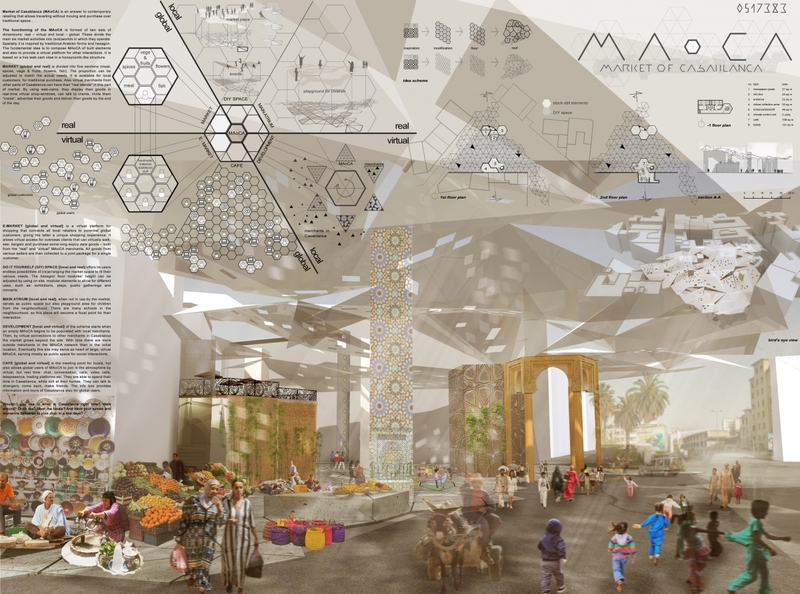 The competition was to design a new market in Casablanca, as an infill project. We have proposed a unique mixture of real and virtual trading in one place. Therefore the concept is not only the physical architectural form, but also the process behind selling – the contact between customers and merchants. The Market is formed in two sets of dimensions: real – virtual and local – global. Combination of those form different spaces and interactions. The local merchants have opportunity to sell to local customers (local-real). They use multi-purpose, DIY space that can be adjusted to their needs. Also when not in use by the market it can be easily transformed to serve for public uses. 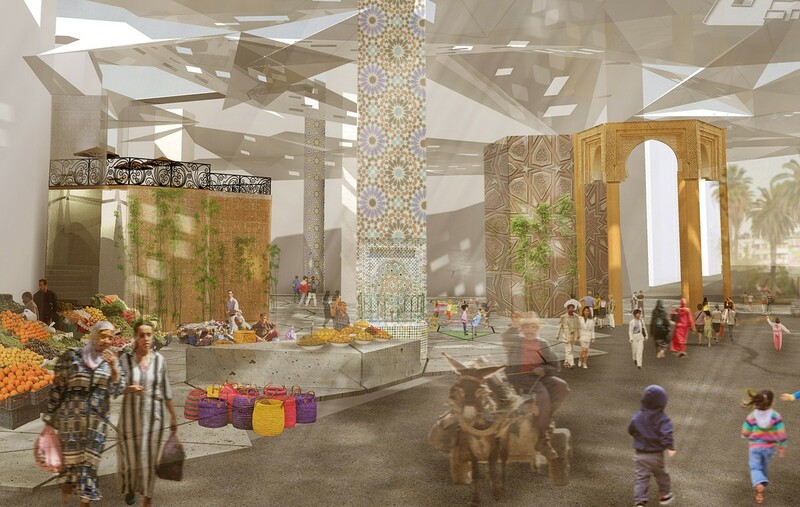 The local-virtual relation is relation is when the merchants from other places in Casablanca virtually display their products in the market for the customers that came to visit. Then they can deliver them directly to their doorstep. Whereas the global-real is the market where international goods are sold locally. Global-virtual space are represented in both online shopping opportunity and a cafe. The retailers can sell their products and ship them abroad. The cafe has built form in the market, but by online connection with international community allows to meet for people around the world and experience the Casablancan atmosphere. By creating this multitude of opportunities we expect the market to become a node not only for Casablanca, but also worldwide.